Max zoom level determines how many zoom levels should be generated. The lowest zoom level is 0, which is a single tile in size. 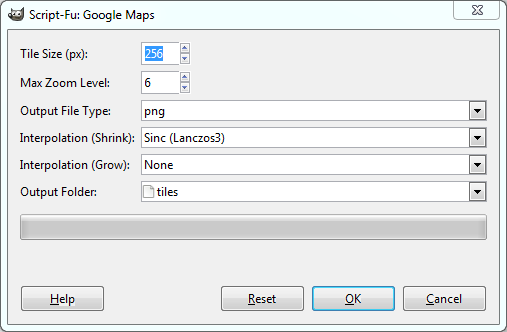 Interpolation mode can be chosen separately for shrinking and growing. In my case, I didn't want any interpolation when growing, since I was growing a pixel-perfect image by a factor of 2 each zoom level, so I wanted to retain the pixel-perfect aspect and just create "big pixels". 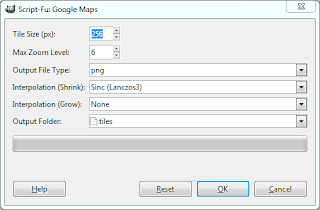 for use with Google Maps API"